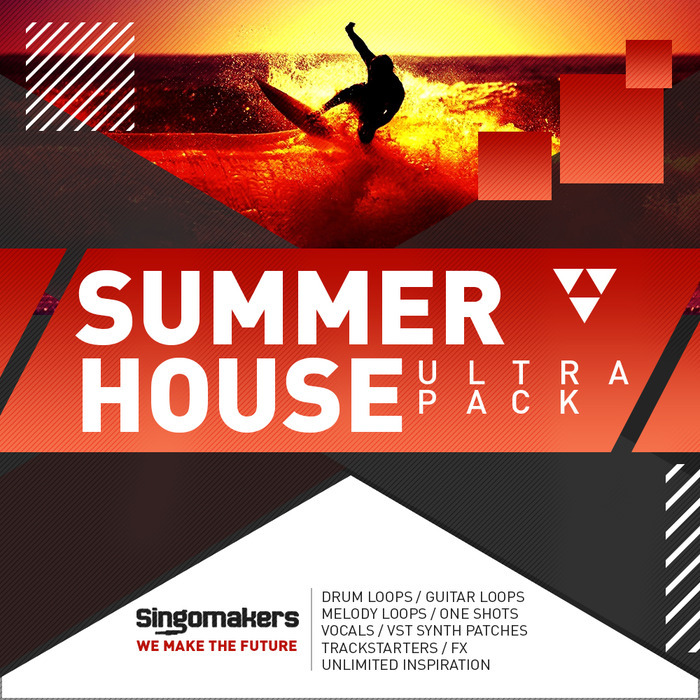 Singomakers are back with this ultra-inspirational Summer House Ultra Pack! 2.25 Gb of superb samples, professionally played and recorded guitars, pianos, drums, vocals, patches, multi-kits, track starters, all mixed and processed with professional outboard hardware equipment! 11 Sampler Patches, 83 SFX, Promo & Discount Folder and Unlimited Inspiration. For creation of Summer House Ultra Pack Singomakers took inspiration from music of Galantis, Daft Punk, Felix Jaehn, Robin Schulz, Avicii, Kygo and more! Also, contained inside the Full Pack formats (Full Zip, Ableton Pack, Apple Loops Pack and Reason Refill) is a special PROMO folder including a secret link to free samples from Singomakers as well as a special DISCOUNT CODE on our HOT and Top Rated VST plug oin Magic Stereo which is actively used by Hardwell, W&W, Dannic, Futuristic Polar Bears, Swanky Tunes, Flosstradamus, Bart Claessen, D.O.D, Joachim Garraud, Rezone, Maddix, and a lot more! Check this amazing demo and download your copy of Summer House Ultra Pack today!